LOGANAIR is set to replace its Saab planes over the next four to five years with an ATR aircraft in a bid to make its operations more efficient. 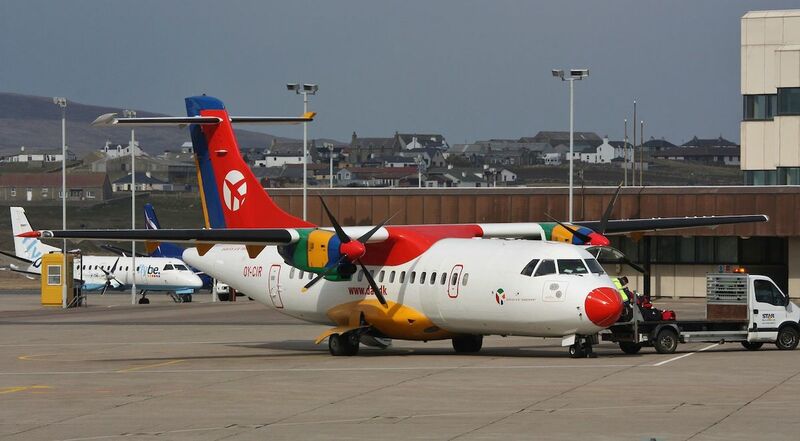 Chief operations officer Maurice Boyle told a meeting of Shetland’s external transport forum on Thursday that ATR 42s would start being phased into the airline’s fleet in the third quarter of 2019. He said the existing Saab 2000 and 340s used on Loganair’s routes – including to and from Shetland – are becoming too costly to run in terms of both operation and maintenance. Boyle said this is particularly the case for the larger Saab 2000. “It’s a Porsche when it should be a Ford Focus,” he said. He said the investment would see around 20 twin-turboprop ATR 42s join Loganair’s fleet over the next four to five years. “It’s a quieter aeroplane in the cabin, it’s a bigger cabin and there’s better amenities on board,” Boyle added. The passenger capacity for ATR 42s tend to be between 40 and 52. Boyle could not say when Sumburgh Airport would start seeing ATRs as the airline’s planes are not assigned to one route. Unlike the Saabs, the ATR 42 is currently in production – meaning that spare parts will be easier to access, he added.